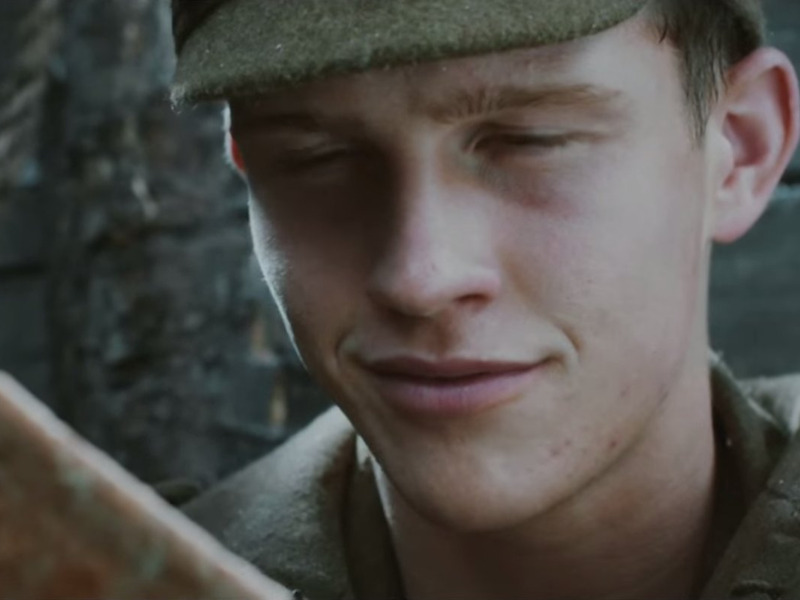 YouTube/Sainsbury’sSainsbury’s Christmas ad is epic this year. Good morning. Here’s everything you need to know in advertising today to get your morning off to a good start. 1. UK supermarket Sainsbury’s has just released a Christmas commercial that blows the usually-triumphant John Lewis festive spot out of the water. The Sainsbury’s Christmas ad retells the true story of troops holding a truce, exchanging gifts and playing football on Christmas Day 1914, during World War I. 2. Twitter released a chart during its analysts’ day Wednesday that reveals it is forecasting $US14 billion in annual revenue in 10 years, causing its stock price to rise more than 7%. But observers were confused by the new 35-word strategy statement it also put out at the same event. 3. Google’s DoubleClick for Publishers ad server went down on Wednesday, costing publishers globally ‘$US1 million an hour’ in lost revenue. The server was down for almost two hours, which also brought some websites to a virtual standstill as many pages failed to load. 4. YouTube has launched a new subscription music service that lets users pay to get rid of ads. The service will also allow YouTube users to save videos to view offline and the ability to play songs in the background as they browse other apps. 6. Domain “laundering” is the latest advertising fraud threat, The Wall Street Journal’s CMO Today reports. Ad networks are allegedly manipulating and masking how ad inventory on undesirable sites appears in ad exchanges, to make marketers more likely to buy the space. 7. Some 75% of brands are now using programmatic, MediaPost reports. Survey results from demand-side platform Chango also found that 74% intend to increase their programmatic budgets next year and that only 9% of brand marketers have no plans to use programmatic in the future. social payments tool, which cost €3,500 to set up, now takes €80,000 per week in sales. 9. Vice has partnered with concert giant Live Nation to create a free, ad-supported music content property on teh web, mobile and TV, AdAge reports. The service will include original series, films and live events and it will be more tightly-focused on mainstream acts than Vice’s existing music property Noisey. 10. Ad tech company SHIFT is among the first Facebook marketing partners to integrate with the newly rebuilt Atlas platform, AdExchanger reports. SHIFT clients can now use Facebook’s data to target users in mobile apps outside of Facebook’s owned apps.